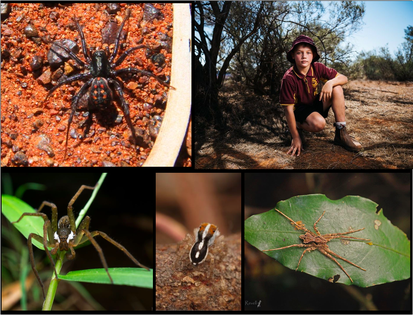 Nine-year-old Bowden George with the new species of ant spider he discovered from the family Zodariidae (top left). Bottom row: unidentified species sighted by QuestaGame players. Nine-year-old Griffin Liddle joined QuestaGame to learn about taxonomy and is one of QuestaGame’s top-ranked experts.